All eligible shows are seen by the judging panel, awards administration team and scouts, who start covering shows from the first day of the festival. The judging panel consists of comedy critics, industry professionals (TV and Live) and punter judges. The scouts are previous members of the panel. The Shortlist is announced on Wednesday 21st August 2019. All members of the panel then see all the shows again and the winner is selected and announced on Saturday 24th August 2019. 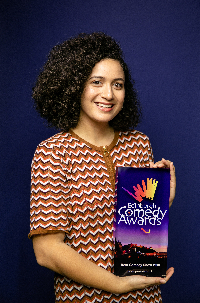 A Judging Panel of 10 is selected by Nica Burns, Director of the Edinburgh Comedy Awards since 1984. It consists of 7 professionals - comedy and theatre critics, TV and radio comedy producers - and 3 members of the public. The public panellists are comedy enthusiasts and regular paying audience members at comedy performances and apply to be on the panel through competitions in the Times, www.edfringe.com and via @comedyawards. A master list of shows to cover is drawn up when the Fringe programme is printed. The Awards Administration goes through all the shows listed in the official Edinburgh Festival Fringe Guide in the categories of Comedy and Cabaret. Each entry is checked to ensure that it complies with the rules, e.g. that it is not a comedy play, that it is original and that it is playing the dates specified. The Awards Administration starts scheduling all the eligible shows from the first day of the Festival. The Awards Administration ensures that every show on the list is seen. As each show is seen, if merit is found in the show, then the Awards Administration sends more panellists to see it. The Awards Administration organises the panel members’ and support teams’ schedules and keeps a record of who has seen which show as the list is ticked off. If a panel member has noticed an omission from the list, or if a show has been inaccurately described and may be eligible, then it is covered just in case. If a group contacts the Awards Administration asking to be seen, it is also checked out in accordance with rules. Sunday, end of Week 2: the Panel meets to discuss the shows it has seen so far, and to check through the list of shows to be seen. Every single show is discussed and a longlist of top shows emerges. The panel then continue to see shows including any of the longlist shows they have not seen. Wednesday Week 3: the Panel meets to decide on the shortlist. The remaining shows are debated again, until they are honed down to a shortlist. The Panel then sees the shortlisted shows again between Wednesday evening and Friday night. Saturday Week 3: the Panel has its final meeting and decides on the winner after discussing all the shortlisted shows in great detail. The final vote is a written secret ballot, which is overseen by the Director of the Edinburgh Festival Fringe Society. 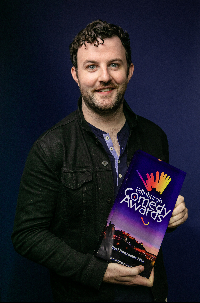 The eligibility rules can be found at www.comedyawards.co.uk and are distributed to all Edinburgh Festival Fringe Venue Managers. Further copies are available from the Awards Office or the Edinburgh Festival Fringe Society.